New and Used Waiting Room Chairs are for Sale at The Dr’s Toy Store. Buy Waiting Room Chairs now for the Best prices. What are Waiting Room Chairs? Waiting room chairs are chairs which are made available for visitors in the waiting area so they have a chair to sit in while waiting for their appointment. Hoping that none of your clients will have to wait a long time, it’s always important to provide clean and comfortable space to give your visitors a good first impression and make them feel welcome. The best comfort is not only associated with the quality materials of materials, but also from a careful ergonomic design that supports the back, providing contemporary aesthetic quality. Waiting room chairs are specially designed so that patients, including children, feel welcome and comfortable while they are waiting to meet with their physicians. From sitting with a bariatric weight capacity to tables with antimicrobial surfaces, these items help in maintaining a clean facility and also make visitors happy. There are many places where waiting room chairs can be used, they can be used in hospitals, children’s offices, oncology centers, and some other healthcare facilities. 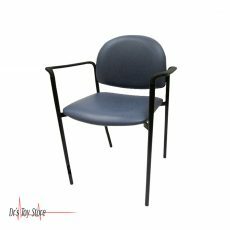 Waiting room chairs come in different styles and sizes that match the types of patients who visit your facility. Waiting room chairs will provide the guests with a positive first impression when they enter your hospital. Designed with a capacity greater than artwork that attracts children, you will have the privilege of turning your reception area into a place where guests feel more at home. Waiting room chairs, including guest’s chairs and reception tables, are smart solutions for the needs of your healthcare institution to make your patients comfortable. In the event that you need a seat that is easy to clean, waiting room chairs are usually antimicrobial, so you can focus on the welfare of your guests and not about putting an end to the spread of the germs. You can even find tables and desk. We have made waiting room chairs of all types are available here on the pages of our website. You can also equip other rooms in your hospital with waiting room chairs from Dr. Toy’s store. Whatever your needs are, we have got you covered. Dr. Toy’s store is your number one source for Waiting Room Chairs with comfort guarantee. Arrange your conference rooms and reception areas with a reception and waiting room chairs in your choice of vinyl material. Equip a waiting room or reception with simple waiting room chairs with a durable vinyl material to create an even and pleasing appearance. Choose between arm-less chairs or armchairs with comfortable angular hands in different fabrics and choose a light red or yellow paisley pattern to add a burst of energy to your reception. Waiting room chairs can also be used for an administrative office or more creative workplace, choose an elegant and colorful waiting room chair to gain the attention of your visitors. Our waiting chairs come in vinyl with plastic armrest. Seats with modern design will leave visitors a positive first impression. In addition, waiting room chairs can create a warmer look in your reception room. In the event that you want to make your visitors comfortable, waiting room chairs is the answer.